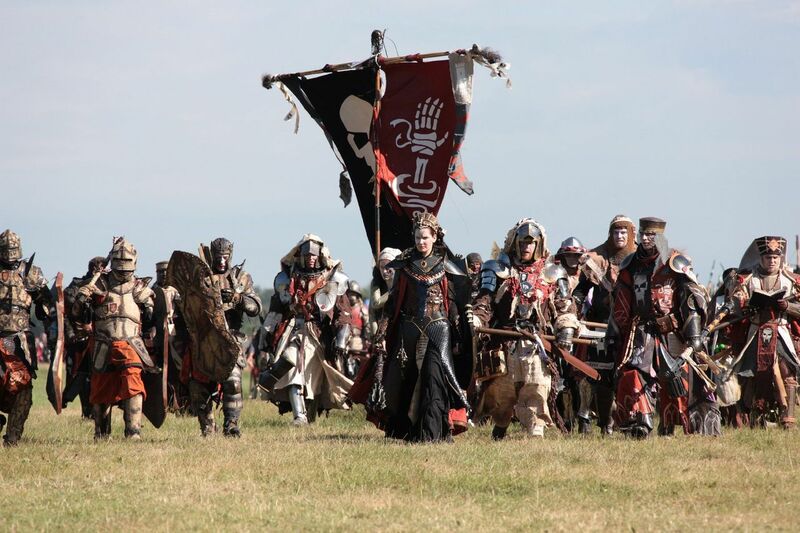 Due to some confusing language use, larp can refer either to a single event, a series of connected events or a group that runs these events. You need to guess which is which depending on context. Trying to find a "larp" might give you either. There are tons of different larps around. Some are fantasy, some are vampire, some are sci-fi, some are horror, some are modern. Like with movies and books, it's a media. Some people might be interested in epic fantasy battles, others in political manuevering, others in small-scale relationship drama, others in explorations of oneself's limits etc. Some people want amusement, others want it to be meaningful etc. Some want to be physically challenged, others want to simply enjoy a good story without such challenge. And there's something for everyone out there. Depending on where you live, finding a nearby larp (let alone the one you like) might be easy or hard. Unfortunately, there's still no universal larp list or calendar that works well, but there are a couple of good ones. 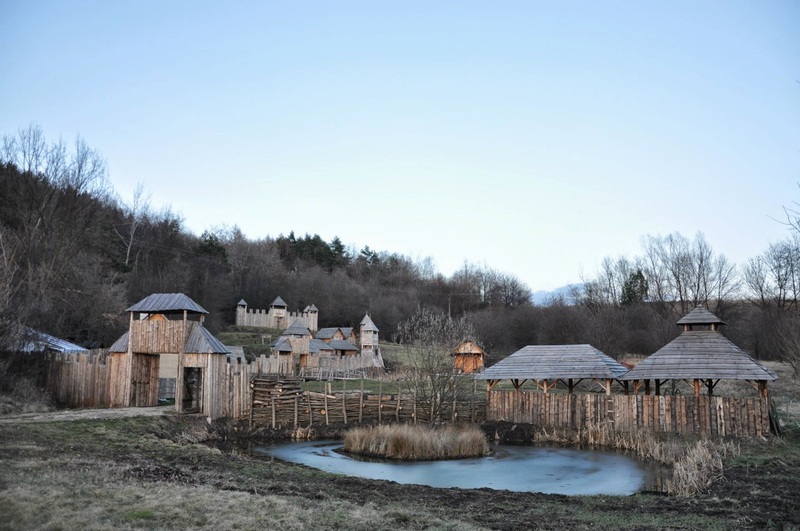 I maintain a list of Croatian larps which you can check, and besides I write about them a lot. German-speaking areas have a very functional and commonly used calendar. 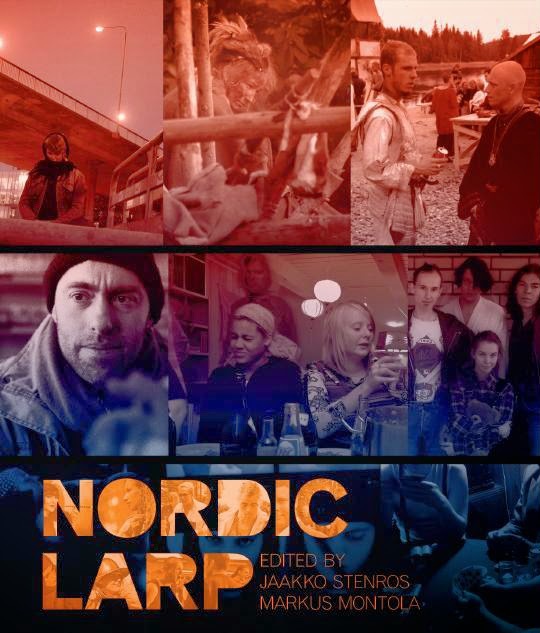 There's one for Nordic larps too. For English-speaking users, there are two cool international projects, Larp List by larping.org and LARPCore. You might want to check there if you're looking for a game near you (and if you're running a larp which is not there, get it added ASAP). 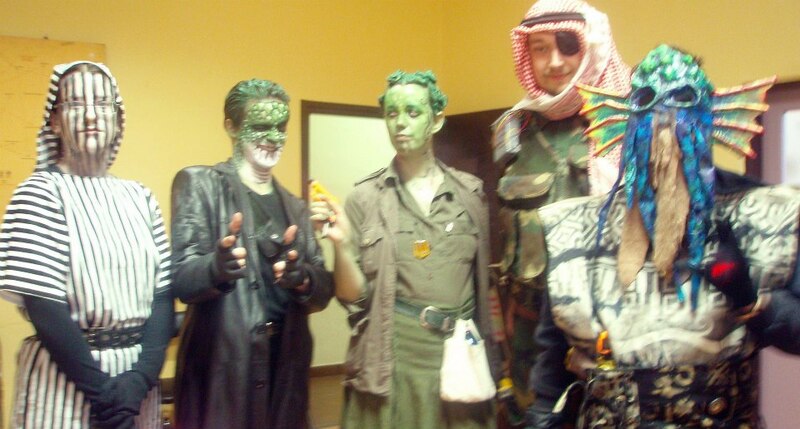 If there's really no larps around you, you might even want to start one with your friends. Don't get intimidated by the larp. I've met people whose first larp was a budget 3-person chamber larp, people whose first larp was a 9000 people fantasy larp festival lasting for a week and costing hundreds of euros, and I've met people whose first larp was a pervasive 32-day modern larp. And a lot of them had an awesome time. 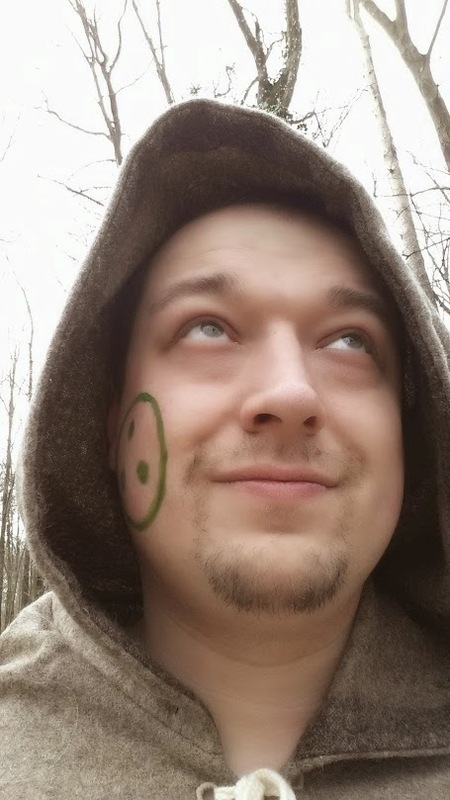 My first larp was a weekend camping fantasy event, and I had a great time. I don't subscribe to the idea of "beginner" larps with easygoing story, plot and requirements - a lot of newcomers in fact had a blast in more intensive larps because of their plot, and in fact adjusted better than some long-time larpers who experienced more tame larps. So if you find a larp with a subject you like - go for it! 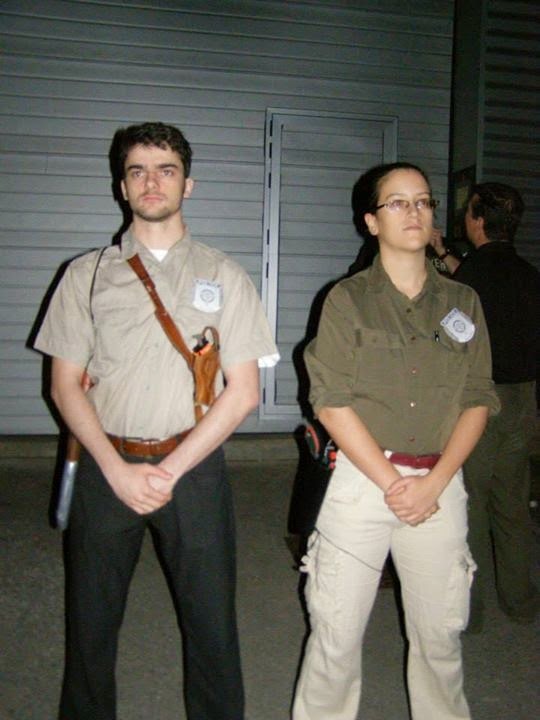 Of course, if you would feel more comfortable with a small or less intensive larp, go ahead. Website, ruleset, setting, requirements, player expectations etc. can all be a part of the larp documentation, or they might not exist. Checking out what's written will help you to integrate into the larp more easily. Some larps might have no mechanical rules, and go for pure improvisation. Others might have hundreds of pages of rules, in a book they might be selling or which might be available to buy at a publisher. Each approach has its' merits, and things which can be done with one are hard to replicate with another, so don't diss something different than what you might expect. Your larp's website, Facebook group or other docs should be able to explain the way of playing, or point you to whatever is necessary. In campaign larps which use complex rulesets, you're often not required to learn all these hundreds of pages - just learn some basics, you'll learn details in play. Website or game docs should be able to point you who to contact. In some cases you'll be contacting the community of players, in other cases you'll be contacting those responsible for running the game (who might be called game masters, storytellers, game runners, elders, organizers, judges, reeves, and many other names depending on your group - I'll use GMs or game masters for this text). Contact them with any questions you might have. If the documents did not make clear to you what you should do in the larp, feel free to ask it to know what to expect. Make sure everything is clear, and that you're OK with it. NEVER EVER GET OVERLY ATTACHED TO YOUR CHARACTERS! Newbies often tend to think about their characters as their coveted property and investment which gains in value as the campaign progresses. But this is an illusion, which can lead to a lot of hurt feelings and unnecessary drama. It's best to stop thinking of them as YOUR characters, instead think of them as characters YOU PLAY. Even in campaign larps which tend to preserve characters, occasionally bad things happen to a character. It's not a question of IF, it's a question of WHEN. And when that time comes, you will need to handle it. You need to be prepared for this possibility from the moment of character creation. Characters are a piece of the story. If you compare a larp to a movie, think about Sean Bean. He usually plays characters such as Boromir or Ned Stark, who tend to die dramatically at some point in the movie. You know what he doesn't do? He doesn't argue with the director or other actors about his character dying. He doesn't spin wild theories about why he shouldn't have died at that moment. He moves on, and everybody's talking about how cool he pulled off that role. So get to know your character, whether you or the GM wrote it. Accept that bad things might happen to them. Think about how to make some cool scenes. Practice thinking how it would feel to be that person. What would your character feel, think and believe? How would they perceive the world around them? NEVER EVER WRITE LONE WOLF CHARACTERS! A character sitting mysteriously in a corner is likely to be ignored and have a bad time. If you wait for that scene where you will be overly cool, it will probably never come - even if it does, it will probably be misunderstood by others. Larp is a social thing. You will need to interact with other characters in some way, because that's what larp is about. Not all characters need to be heroes - indeed, if all characters are heroes, than being a hero loses a lot of meaning. Playing a lower-impact character (merchants, clerks, beggars etc.) can be very rewarding - if the larp supports such play well. If you're writing a character yourself, here's a few more tips. On some larps you can play "NPC" characters, meant to help the organization. You usually get some benefits, like reduced fee, meals, XP for your character, group's gear to use etc. What you get will depend on a group, as well as how playing a NPC is different from playing regular characters. Maybe you'll get a character which is almost like regular PCs. Maybe you'll be needed to jump into various costumes and fight the entire event. Ask what being a NPC means in that particular larp, and see how you like it. It might happen to be the very way you want to play, with serious cost reductions - or it might be something you wish to avoid. In some larps costuming can be whatever you pull out from closet. In others, GMs might provide some items of clothing for you. But for most, you'll need to get your costume. Three main options are buying something from an online store, getting someone to make it for you, and doing it yourself. My advice is whatever route you take, if your larp is medieval fantasy or otherwise historical, strive for authenticity which can also be had on the cheap. Here's a few good tutorials for making your own clothes. If you're on a tight budget (or unsure if this larping thing is for you), ask if someone has anything available to lend you, and you'll usually end up with some usable gear. If you're camping out in cold weather, make sure you're adequately prepared. If the larp is more than an hour or two long, you'll probably need to drink something. If it's even longer, you will need to eat something. If it's overnight, you will need to sleep somewhere. How are toilets organized, do you need to bring your own toilet paper? Is there water available on site? Do you need sunscreen or bug spray? What happens if the thunderstorm hits? These are all crucial questions. Find out what you must bring with you, what is provided by the organizers, and what might be provided by others in-game (e.g. someone selling items for in-character currency). If you need to bring a tent to sleep in, be sure to bring the right kind of tent (e.g. if you brought a neon green nylon tent to a game where everyone else has a canvas tent, there might be some problems with that - here's a comprehensive guide on larp sleeping options). Always ask! Of course, there might be others who can help you or have gear to loan. If it's a multi-day event, don't forget your deo and toothbrush. Please. Research how to get to the event site. There might be an acceptable public transport solution to get you there and back. If not, you will need a car. If you don't have one of your own, you might be able to carpool with someone. If you have a car, consider taking in other folks - you'll help them out and you can split the gas money, making costs more bearable. Perhaps it's also possible that you take the public transport to somewhere nearby, and have someone pick you up in a car. Remember to pack what you need adequately. How you get to the site will likely have an effect on what you can bring. If you have a 1 hr uphill hike, you'll certainly bring less stuff than if you have direct car access to the location. Pack your stuff nicely, and don't wait until the last minute because you'll forget that crucial item you meant to bring. Yes, guilty as charged. Get to the event on time. Get in costume, set up what needs to be set up. And enjoy your first event! If you're new to larping or if you come from a different larping scene, this will likely be different from what you expected. Most people will vividly and fondly remember their first larp. This is the crucial part, where theory becomes practice. And indeed, most groups will tell you "no worries, just come and play with us". Once you do, you'll know why. Many things are much easier to experience than to explain, and there's a lot of such things where larping is regarded. Don't have the "I'm paying to be entertained" attitude. Everyone on a larp is a participant, and has a certain responsibility towards others. Make it fun for other players. Listen to them. Be willing to lose, even volunteer to do it if it will keep things interesting. And remember the rules written about character creation - don't get overly attached to your characters (treat them as your role, not your property) and don't be a lone wolf (larp is about interaction). And remember that if your character fails, it's part of the story - you haven't failed as a person or as a player. Unless it's a one-room chamber larp, you probably won't be able to keep up with everything that's happening on a larp, and that's OK. You're not supposed to. 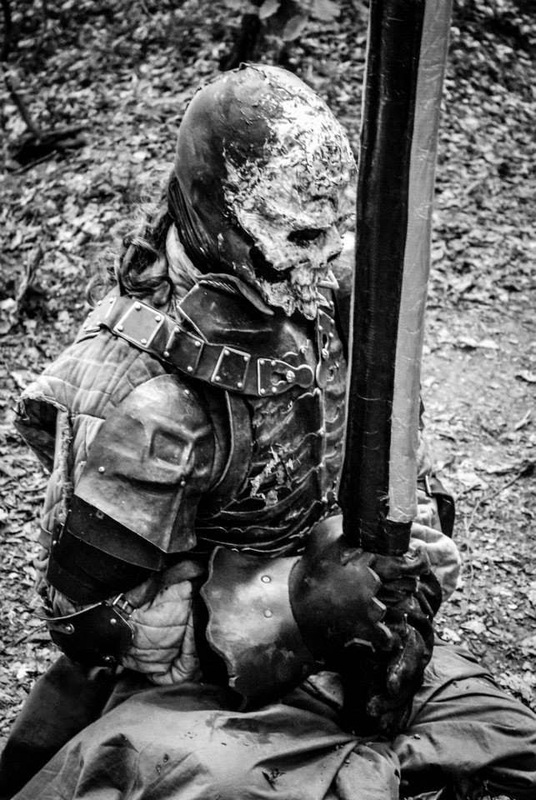 Every player will have a somewhat unique and personal experience of the larp. Remember to stay in character in the in-game area during play time, and always react to what other players do. And if it's a multi-day event: drink your water! Dehydration can sneak up on you and can ruin your experience. You're done with the larp, successfuly packed up your stuff (and probably wondered how your tent fit in its' carrying bag the first time? ), and got home... and now you feel like you're still partially there, not wishing the larp to end even though you know it did. You might feel "high" and dreamy - or confused, exhausted and emotionally raw. Like after a good book or a movie, but a lot stronger. It's a natural result of how brain works, nothing worrisome. It can persist for days, and it's common. The most important thing is to recognize it happens. Talk to other players, give feedback to the GMs and it will fade in a few days. Sometimes we can learn new skills through larp - or some new things about ourselves and others. With larping, all our senses are engaged and it can be the most powerful storytelling media known to us. There are several reasons you might want to do it. You may find you like them more than your first larp - or not. Both are perfectly fine. You will probably see and learn something new and different from them, and you might be able to apply that in your future larping. Approach them like a newbie - what you learned in your first larp might not apply in this one, and vice versa. Just remember: every larp campaign or group has a community of its' own, like any other group and hobby. The community can be inclusive or exclusive, loose or tight-knit. You might find computer and comic geeks and athletes, unemployed, plumbers, doctors, engineers, actors and politicians - people from all walks of life. You might get friendly help from others where you didn't expect it simply because you share a hobby. You might encounter cliques, drama, bullies, arrogancy and social tensions. You might find your new best friends and fall in love. Or you might find some bittersweet combination of everything that's mentioned. See what's out there in your area. Just like in any other hobby, groups are different from each other and human relations might color your view of larping. Treat other players politely and with respect, and see where you feel most comfortable. Don't expect perfection - either in larp, community, your co-players or the organizers. After all, we're all simply human. But you can expect good times and unforgettable moments in your larping experience. This concludes this short guide! If you found it helpful, please share it to your friends. Got any questions? Comments? Write them below! 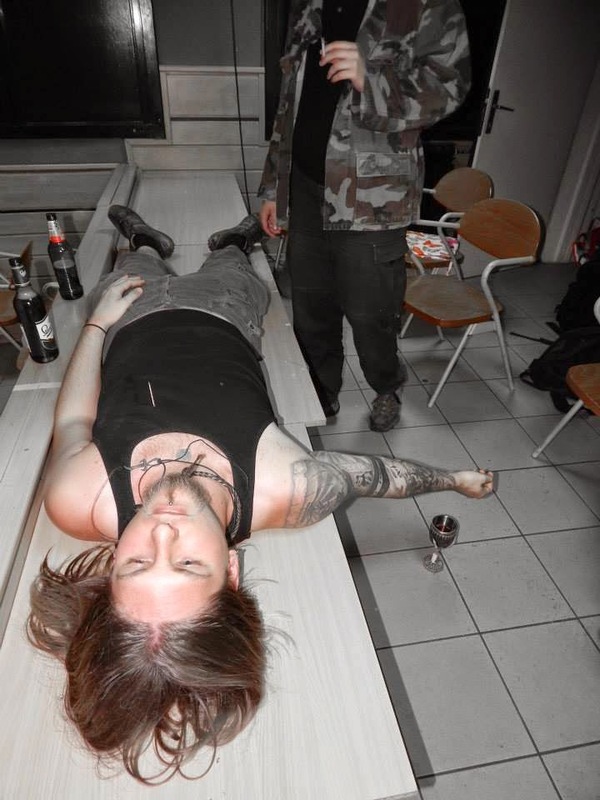 This weekend: Liburnicon, Vampire larps and more!